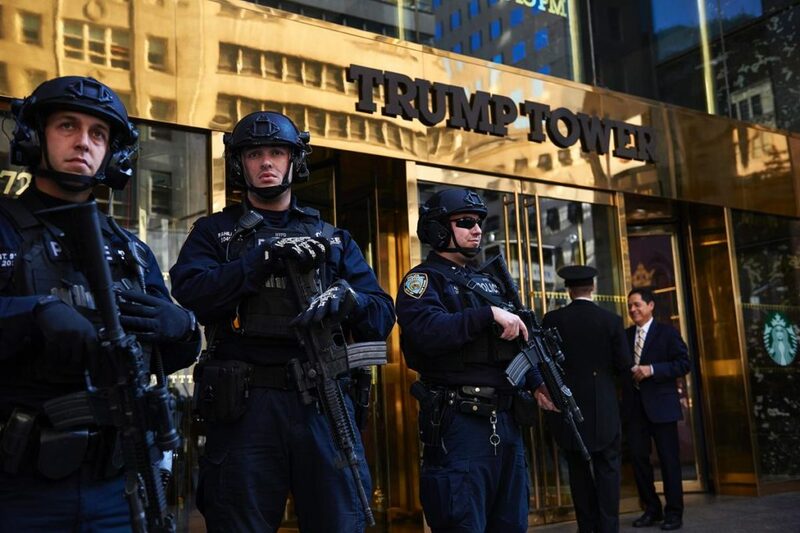 A laptop computer containing floor plans for Trump Tower, information about the Hillary Clinton email investigation and other national security information was stolen from a Secret Service agent’s vehicle in Brooklyn, police sources told the Daily News. Authorities have been frantically searching for the laptop since it was stolen Thursday morning. Some items stolen along with the laptop — including coins and a black bag with the Secret Service insignia on it — were later recovered. But the laptop, along with other documents described as “sensitive,” were still being sought. The thief stepped out of a car, possibly an Uber, on a street in Bath Beach and stole the laptop from the agent’s vehicle, which was parked in the driveway of her home. He was then seen on video walking away from the scene with a backpack. The agent reported the laptop contained floor plans for Trump Tower, evacuation protocols and information regarding the investigation of Hillary Clinton’s private email server. The agent also told investigators that while nothing about the White House or foreign leaders is stored on the laptop, the information on there could compromise national security. The thief also took “sensitive” documents and the agent’s access keycard, though the level of the agent’s access wasn’t immediately clear. NYPD cops were assisting in the investigation but had scant information on what’s on the laptop, sources said. This is frightening, –now why should that be on her lap top. What was she planning. She is dangerous, and I would NOT PUT ANYTHING PAST HER EVIL MIND.